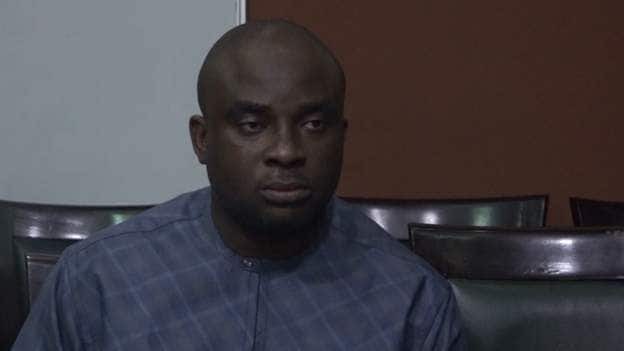 The Rivers state governorship candidate of the African Action Congress (AAC), Biokpomabo Awara, has alleged his life is in danger. The Nation reports that Awara also claimed that his running mate, Chief Akpo Bomba Yeeh, who defected to the Peoples Democratic Party (PDP) on Monday, March 25, collected N200 million from Governor Nyesom Wike to defect from the AAC. Legit.ng notes that these allegations are coming barely one week to April 2 commencement of collation of results of March 9 governorship and House of Assembly elections in Rivers state. Awara who expressed surprise over the resignation of his running mate alleged that gunmen were on the trail of him and members of his family. His words: “I saw my running mate’s resignation online. I have not received the resignation letter he claimed to have addressed to me. I do not know about Yeeh’s resignation. Meanwhile, Legit.ng previously reported that Governor Nyesom Ezenwo Wike on Monday, March 25, said that nobody’s personal interest can be bigger than that of the Rivers adding that all leaders must work together to move the state forward. Wike, who spoke when he received the deputy governorship candidate of the African Action Congress ( AAC), Chief Akpo Bomba Yeeh, at the Government House Port Harcourt, said history will be kind to the latter for placing Rivers interest above personal consideration.